Rosal Rosé Letterbox Wine is very clever. Have you ever imagined a full size 75cl bottle of wine fitting through your letterbox? No - well now it does. 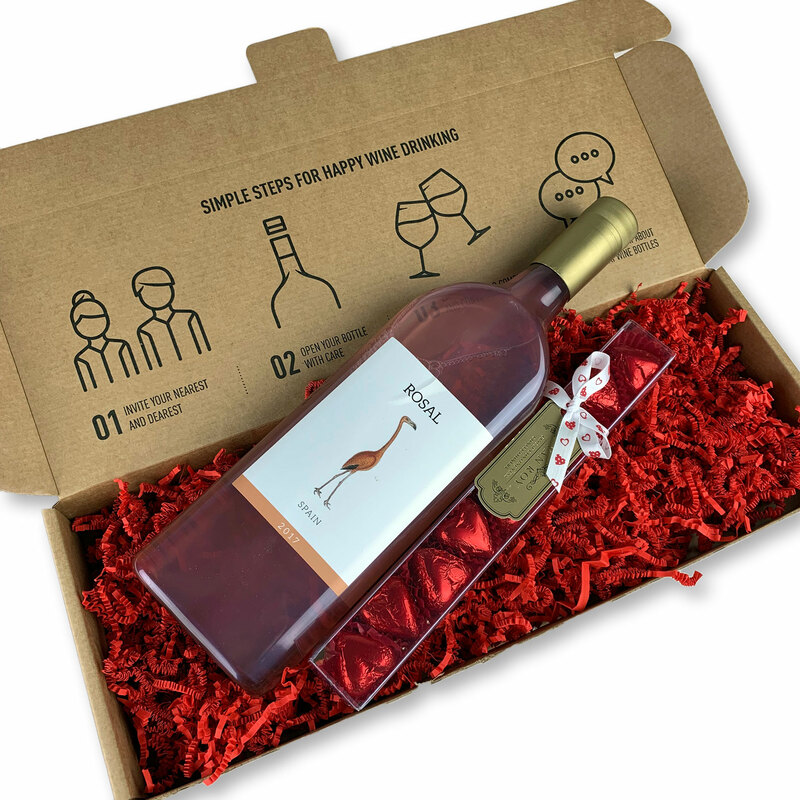 A genius person called Santiago came up with the idea of producing a FLAT wine bottle and then putting it inside a slim cardboard box small enough to slip through your letterbox. Amazing! One of the best things is that the bottle is made from 100% recycled PET and everything your receive is then fully recyclable. What about the wine? Well the wine is nice and bright pink in colour with a youthful nose of roses and strawberries. Refreshing on the palate, crisp and fruity nature. Best served chilled at 7-12 degrees. Best served for aperitifs.